As the Holidays are literally around the corner, we are all faced with the holiday meals that need to be prepared. 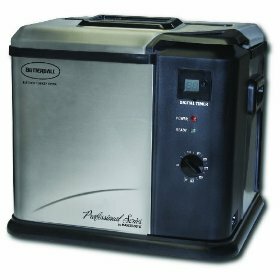 For most of us, its Turkey, and just in time for the holidays, Butterball and Masterbuilt have put out an electric Turkey fryer, that can actually be used indoors. As many know, twice a month we teach cooking classes at All Grills and More in Oviedo, FL, and at this last one, we focused on cooking Turkey. As part of this class we deep fried a Turkey, and it gave us an opportunity to give this machine a try. First, I have to say its 100 times more attractive than a big pot on a gas burner. Second, you fill it to the line with oil, turn it on, and it gets to the right temperature on its own, no monitoring the temp with a candy thermometer. Third, it has a lid, this makes it a whole lot safer than the common alternative. These 3 reasons alone make it highly worth the price, and along with the other 3 reasons, you put your Turkey in basket, lower into the fryer (carefully), and set the timer . That is it, come back (after the Turkey has cooked at 3.5 to 4 minutes per pound) and you have a dynamite fried Turkey. Just to let you know what we used, was a 13lb Turkey, 10 to 12lb would be best in this machine, even though it says it can handle up to 14lbs. The breast on ours was slightly above the oil (submerged). We also used Peanut Oil, which is the most popular deep frying oil mainly because of its high burn point, which makes it much safer than many. But, there are also many other reasons as well, it imparts a lighter, pleasant flavor to foods, and it is healthier than most. Don’t get me wrong, eating fried foods is not good for you, but you can at least use a healthy oil, and Peanut Oil fits that bill. Clara and I started a diet, and of course a diet is an absolute curse to someone that enjoys cooking, and eating as much as I do. 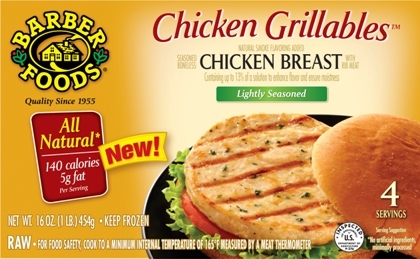 The folks at Barber Foods ironically sent me a brand new product to try, they call them Chicken Grillables. This is a bun size 4 oz patty of breast meat, that can easily substitute for a hamburger, for those times you would just prefer to have chicken. At only 140 calories and 5 grams of fat this is a perfect choice for those watching what they are eating. They come pre-seasoned online casino poker gambling, so online casino sportsbooks all you have to do is pull from the package and cook. I have to say, as easy as these are, good tasting, this is definately staying on the menu during our diet. 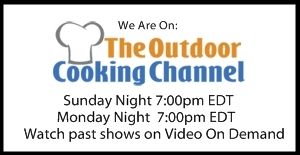 For those that may not recognize the Barber Foods name, they are the ones who sell the stuffed chicken breasts, in the frozen foods section of your grocery store. If you want something convenient for the bun, or on its own for those watching their carbs, this is a vey good choice. Look for Chicken Grillables in the frozen food section of your grocery store. A couple of years ago, I purchased a commercial grade vacuum sealer from Cabela’s. My wife and I were looking for a solution for storing leftover bbq. I often cook multiple pork butts and multiple briskets, which is a lot of meat for two people. We love the vacuum sealer. Leftover bbq will store for a few days in standard plastic bowls with lids, but more than a few days of storage requires something more substantial. Enter the vacuum sealer solution. The vacuum sealer extends the storage life of food by withdrawing oxygen that accelerates the deterioriation and hastens the spoilage process in food. After cooking, we just place the remaining meat into a bag of the appropriate size, press a button and a few seconds later we have a professional quality vacuum seal that will store in the freezer or refrigerator with ease. When we have a craving for bbq, we just pop the bag into a pan of hot water and–presto–we have a bbq meal at our fingertips. I’ll be the first to warn prospective vacuum sealer shoppers that the CG-15 Commercial Grade Vacuum Sealer is not inexpensive. Ours cost $399.99 and the 15 x 18 size bags were another $45.00, but when you bbq as much as we do…and can’t eat all that you cook in one setting (we often cook 10-15 lbs. of meat at a time), the vacuum sealer is a wise investment. For the cost conscious bbq cook, Foodsaver makes a more economical line of vacuum sealers that retail for prices in the $100 range. The Foodsaver bags are less expensive as well. I’ve not used a Foodsaver, so I can’t vouch for their effectiveness as compared to the Cabela’s model.